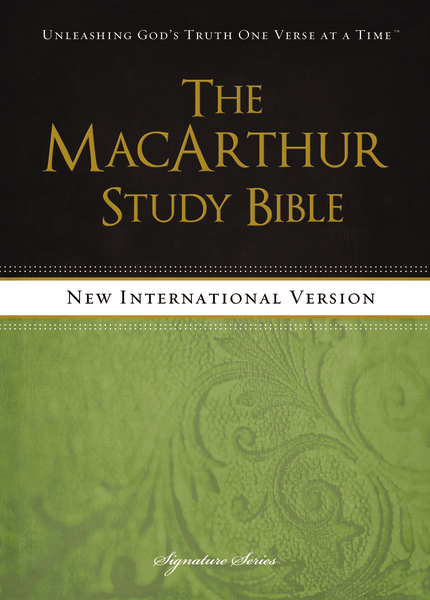 The award-winning MacArthur Study Bible is considered among the elite of study Bibles. It is packed with tools that offer a profound yet down-to-earth approach to understanding the Scriptures. Dr. MacArthur has written dozens of bestselling books, including The Gospel According to Jesus, The MacArthur New Testament Commentary Series, Slave, and A Tale of Two Sons. With over 1.8 million sold, the MacArthur Study Bible uses Dr. John MacArthur’s clear, conservative Bible teaching and his lifetime of exegetical skills to unpack Biblical truth in new ways. Scholars will enjoy diving deeper into God’s Word with Dr. MacArthur’s explanations of historical context, textual analysis, and modern-day application. John MacArthur is considered one of the top Biblical scholars living today. He has spent his entire ministry poring through Scripture, digging into every difficult passage with the exegesis skills of a world-class scholar. His intellect and formal training are balanced with the compassion, courage, and practical voice of a teaching pastor.